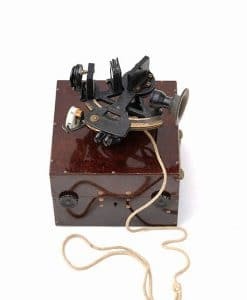 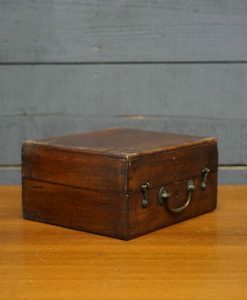 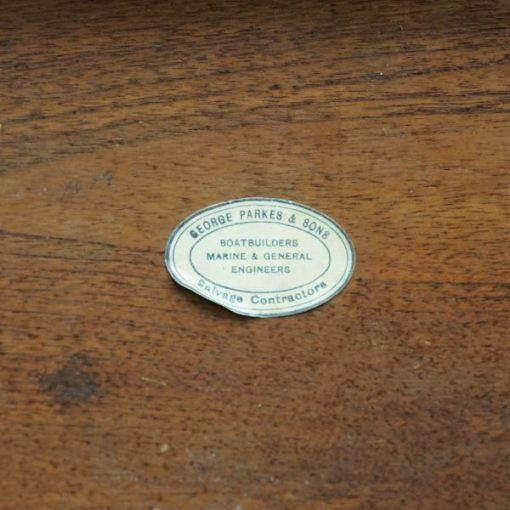 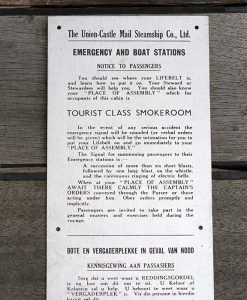 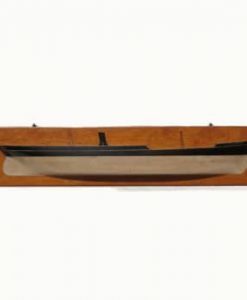 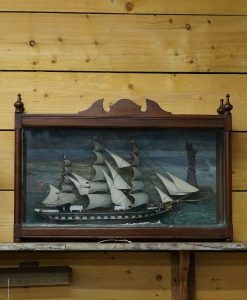 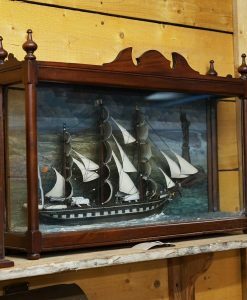 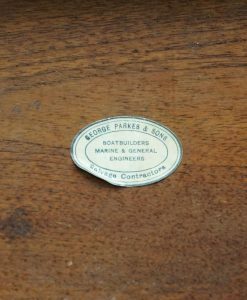 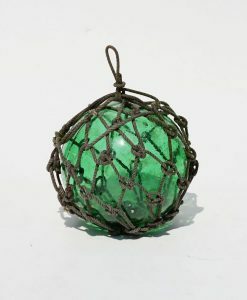 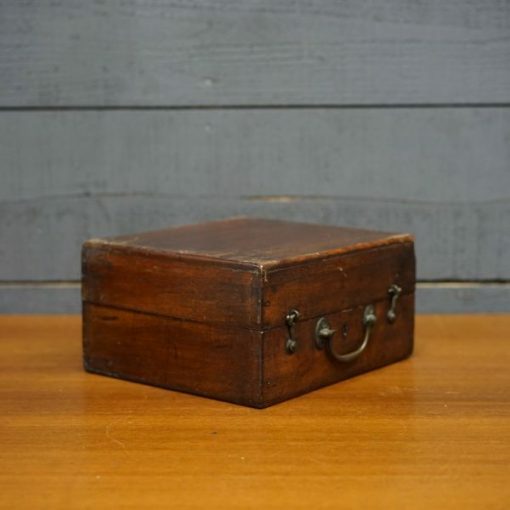 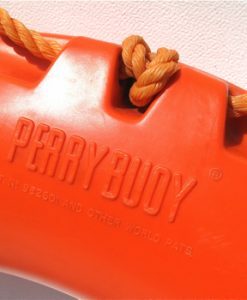 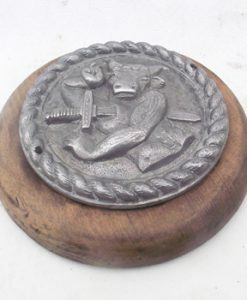 Sadly no makers name on the silver scale , but the box has an agents sticker reading ; George Parkes and Sons , Boatbuilders, Marine and General Engineers, Salvage Collectors. 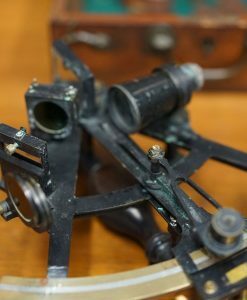 It is unknown at what point in time that this sextant was acquired by Parkes. 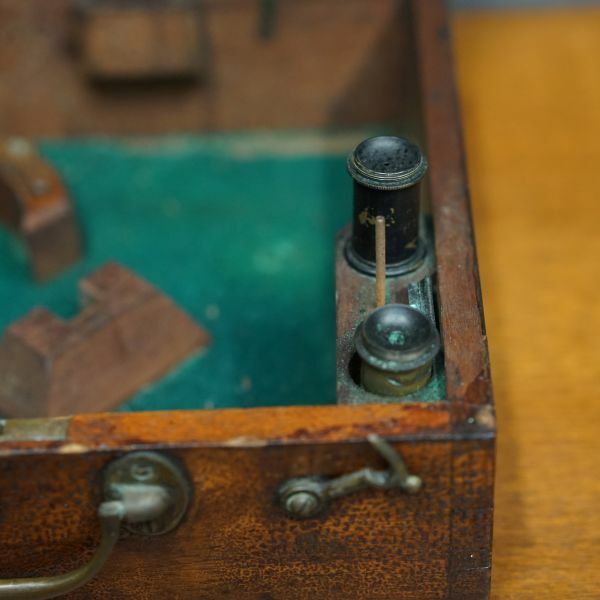 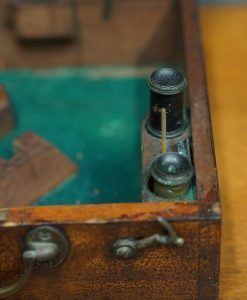 Three scopes and the setting pin are in the box, an original box with character. 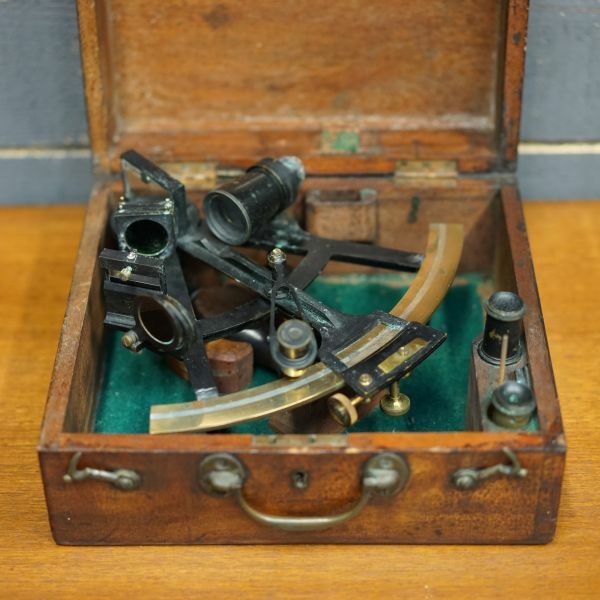 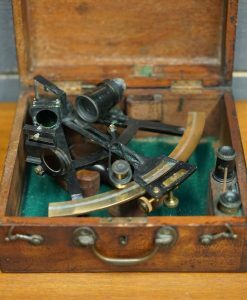 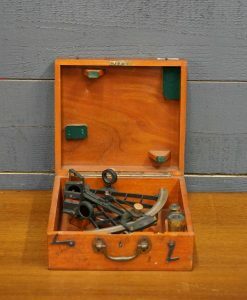 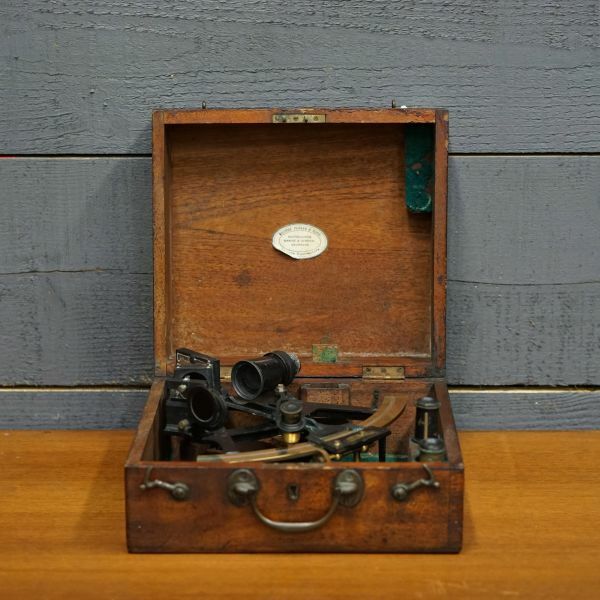 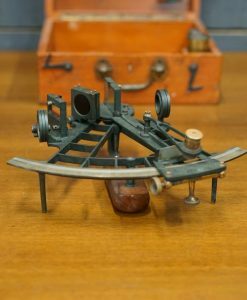 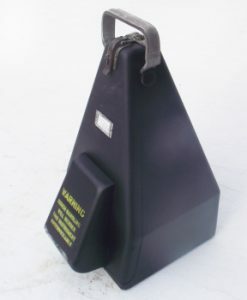 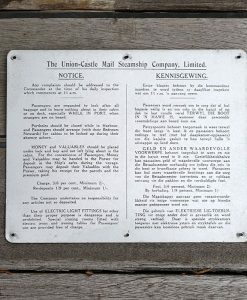 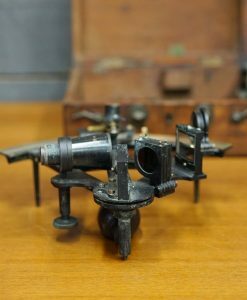 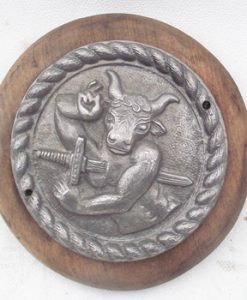 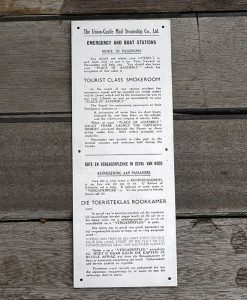 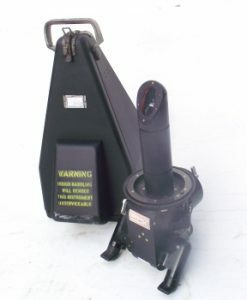 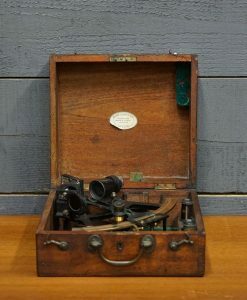 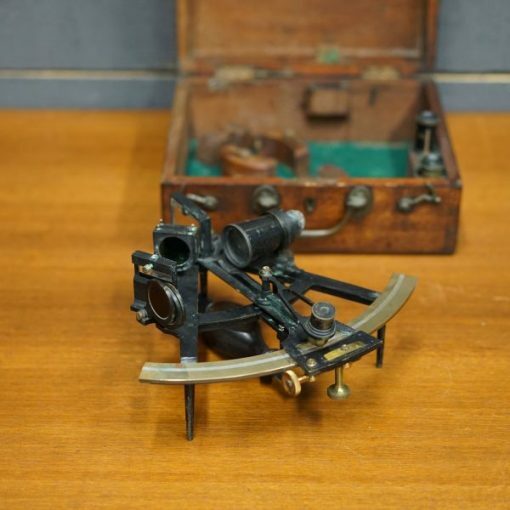 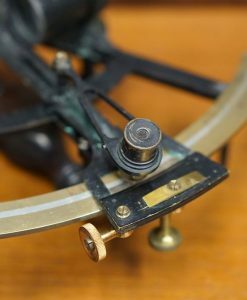 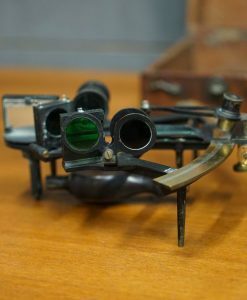 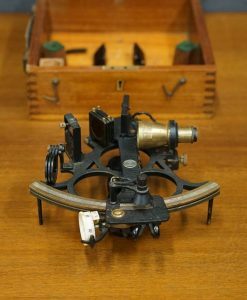 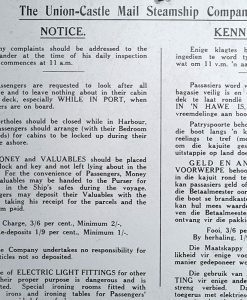 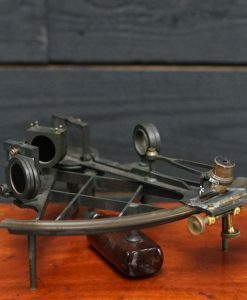 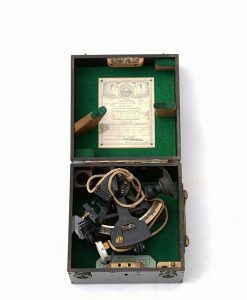 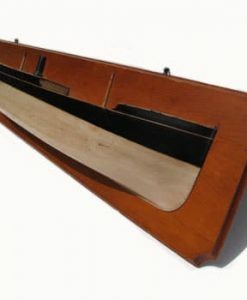 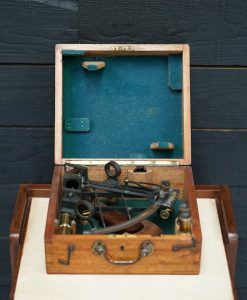 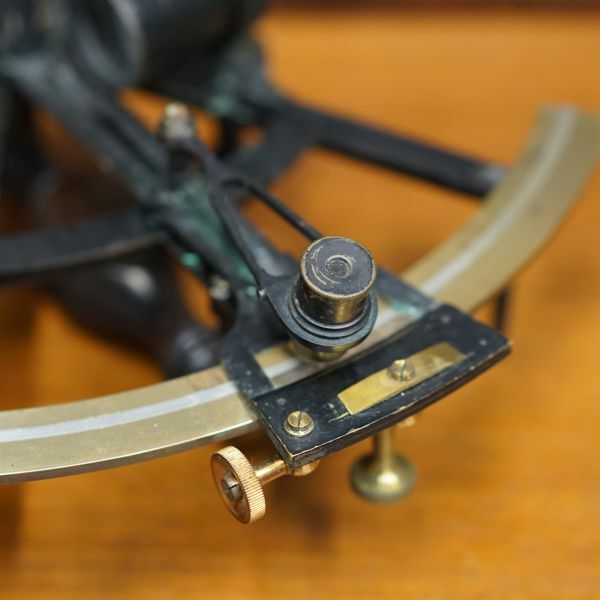 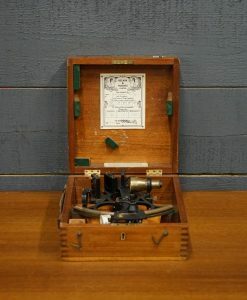 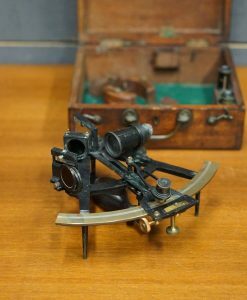 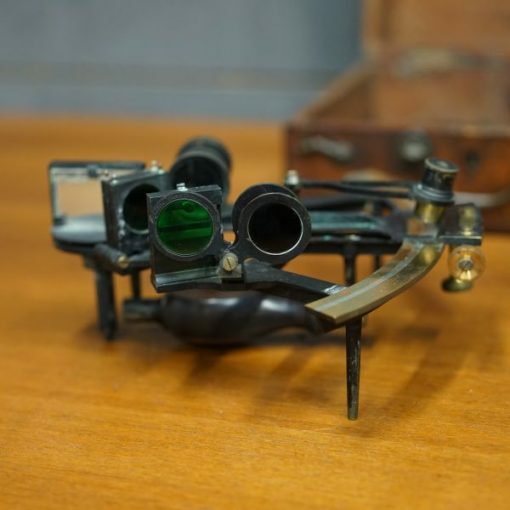 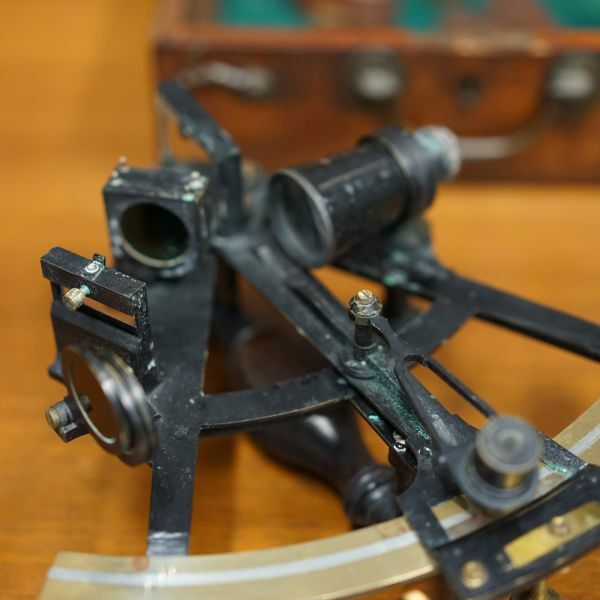 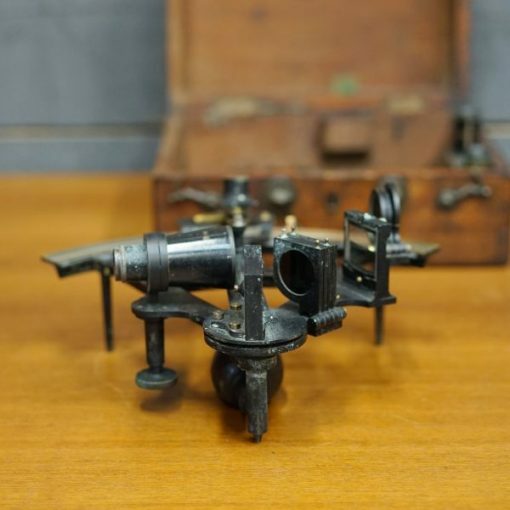 A good example of a traditional early 20th century ship’s sextant.